What is 80 percent off 80 dollars (80% off $80)? What is 80 percent off 80 dollars? If something costs $80 and is on sale for 80% off, then how much would it cost? Here we will show you how to calculate how much you save (discount) and how much you have to pay if something you want to buy is regularly $80, but is currently on sale for 80 percent off. Thus, a product that normally costs $80 with a 80 percent discount will cost you $16.00, and you saved $64.00. You can also calculate how much you save by simply moving the period in 80.00 percent two spaces to the left, and then multiply the result by $80 as follows: $80 x .80 = $64.00 savings. Furthermore, you can get the final price by simply deducting .80 from 1 and multiplying it by $80 as follows: (1 - .80) x $80 = $16.00 final price. 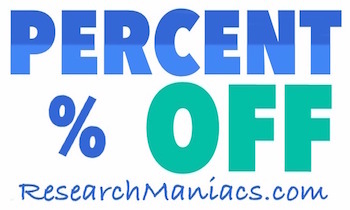 Go here to take a percent discount off another amount. What is 80 percent off 81 dollars? Go here for our next percent off dollar calculation.